In addition to their group meetings, with music and reading historical accounts, the Daughters placed plaques and included historical stories of interest in the local newspaper. There are early interest in the Pali at Nu‘uanu. That expanded into other areas in Nu‘uanu … A notice in the Pacific Commercial Advertiser (November 11, 1890) noted that the government Water Works department purchased Hānaiakamalama (Queen Emma Summer Place) for $8,000. Shortly after King Kalākaua finished building ʻIolani Palace in Honolulu (1882,) he purchased Huliheʻe from Bernice Pauahi Bishops’s estate in 1885 and turned Huliheʻe into his summer residence. 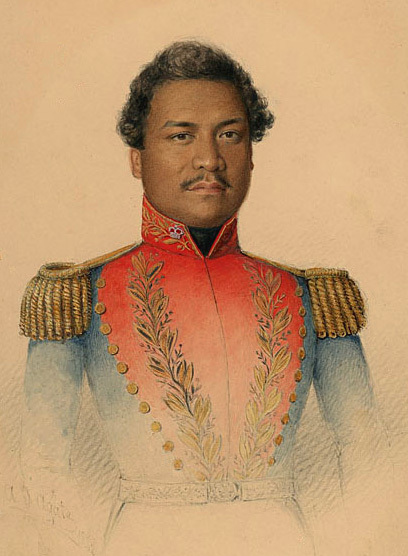 Kalākaua died in 1891 and his wife, Queen Kapiʻolani, inherited the palace. Kapiʻolani resided at Huliheʻe throughout the period of the subsequent overthrow. All of these sites are worth visiting and the Daughters of Hawai‘i is worth supporting. Today, membership is open to any woman who a) has a direct lineage to, or b) has been legally adopted by, a resident of Hawai‘i in or prior to 1880, without restriction as to race. In 1986, membership to the Daughters of Hawai‘i opened and expanded with the Calabash Cousins. “Kamehameha III, By the Grace of God, King of the Hawaiian Islands, by this Royal Patent, makes known, unto all men, that he has for himself and his successors in office, this day granted and given, absolutely, in Fee Simple unto John George Lewis, his faithful and loyally disposed subject for the consideration of Eight Hundred Dollars”. Thus, in 1848, through Royal Patent No. 97, John George Lewis acquired 8.92-acres of land in the ili of Kaukahoku (the stars have arisen.) In the 1840s the land was separated from the city by nearly two miles of open land and tropical forest. This land, a portion of a grant known as Kaukahoku was originally designated as Fort Land; that is, it was set apart for the use of the Fort, probably as agricultural land. It was modeled in the Greek Revival style. It has a formal plan arrangement, wide central hall, high ceilings and floor-length hinged, in-swinging shuttered casement window. It is one-story, over a basement, and measures about 73-feet by 51-feet. The roof is hipped over the main portion of the home and gabled over the rear lanai that was converted to a room. John Young II was an uncle to Emma Rooke who became Queen of the Hawaiian Islands at the time of her marriage to King Kamehameha IV in 1856. Young gave the young royal couple the use of the home in Nuuanu Valley and they found it a pleasant respite from court life at ʻIolani palace. At his death in 1857, Young willed the property to his niece, Queen Emma, and thus Hanaiakamalama came into her possession. She and her family continued to enjoy the home for another five years until the death of her young son, and then her husband. Queen Emma left her property after her death to Colonel Cresswell Rooke of Broomhill, Colchester, Essex, England, a nephew of her hānai father, Dr TCB Rooke, and to Queen’s Hospital. 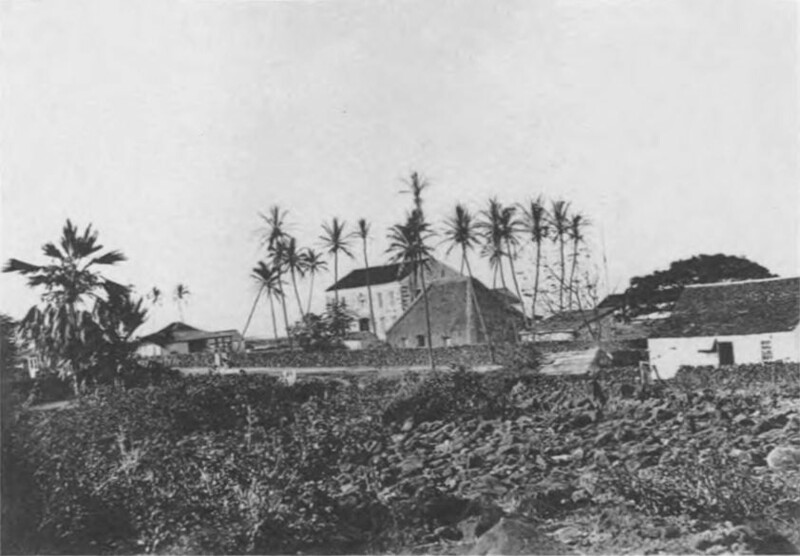 In 1890, Alexander Cartwright, executor of the estate testified that Queen Emma’s old home was “in need of extensive repairs, is old and untenantable, has been unoccupied for past five years.” The land and house were put at auction and were bought by the Hawaiian Government on August 27, 1890. Hānaiakamālama was later saved from demolition by the Daughters of Hawaiʻi. Today, the Daughters preserve and maintain this residence and the Huliheʻe Palace in Kailua-Kona as museums open to the public. The restored and furnished home of Queen Emma and King Kamehameha IV offers a glimpse into the lifestyle of the Hawaiian monarchy. The Daughters of Hawai‘i was founded in 1903 by seven women who were daughters of American Protestant missionaries. They were born in Hawai‘i, were citizens of the Hawaiian Kingdom before annexation and foresaw the inevitable loss of much of the Hawaiian culture. The property is open to the public, daily 9:00 am–4:00 pm; closed major holidays; Admission (kamaʻaina:) Adult $6, Child 17 and under $1, Seniors $4; reservations required for groups of 20 or more. His exact birth date is not known; however, the generally accepted date is August 11, 1813. Never-the-less, Kauikeaouli was apparently an admirer of Saint Patrick and chose to celebrate his birthday on March 17. Other early education the infant Prince received was at Kailua-Kona, from the Rev. Asa Thurston and Thomas Hopu, a native Hawaiian who had been educated on the continent and who came with the first missionaries to Hawaiʻi. In Honolulu, the Prince was the pupil of Rev. Hiram Bingham. The younger brother of Liholiho, he served as Hawai‘i’s King from 1825 to 1854 – the longest ruling monarch over the Hawaiian Kingdom. Kauikeaouli was a pre-teen when he ascended to the throne; in the early years of his rule, he served under a regency with Kaʻahumanu, his father’s favorite queen, as joint ruler. Toward the end of Kauikeaouli’s reign there were 423 schools in Hawaiʻi with an enrollment of over twelve-thousand-students. Most of the schools were elementary schools using Hawaiian as the language of instruction. The image shows Kamehameha III (Kauikeaouli.) In addition, I have included other related images in a folder of like name in the Photos section on my Facebook and Google+ pages. Hulihe‘e, built in 1838, was the residence of Governor John Adams Kuakini and a favorite retreat for Hawai‘i’s royal families. The Palace was constructed by foreign seamen using lava rock, coral, koa and ōhi‘a timbers. Kuakini oversaw the construction of both Mokuaikaua Church and Hulihe‘e Palace and these landmarks once shared a similar architectural style with exposed stone. After Kuakini’s death in 1844, the Palace passed to his adopted son, William Pitt Leleiohoku. Leleiohoku died a few months later, leaving Hulihe‘e to his wife, Princess Ruth Luka Ke‘elikōlani. It became a favorite retreat for members of the Hawaiian royal family. When Princess Ruth passed away in 1883 leaving no surviving heirs, the property passed on to her cousin, Princess Bernice Pauahi Bishop. Princess Bernice died the following year and the home was purchased by King David Kalākaua and Queen Kapi‘olani. Most of the furnishings were originally in the Palace during the Monarchy. Hulihe‘e Palace was placed on the National Register of Historic Sites in 1973. Hulihe‘e Palace contains a fine collection of ancient Hawaiian artifacts, as well as ornate furnishings that illustrate the lifestyle of the Hawaiian nobility in the late 19th century. Intricately carved furniture, European crystal chandeliers and immense four-poster beds fill the rooms. Hulihe‘e Palace reveals the Hawaiian nobility’s passion for western fashions and is a reminder of Kailua’s past as a favorite royal residence. The image shows Hulihe‘e Palace and Princess Ruth’s hale on the palace grounds (while she used and enjoyed the Palace, she typically slept in the grass hale – 1885.) In addition, I have added other images of Hulihe‘e place in a folder of like name in the Photos section on my Facebook page.